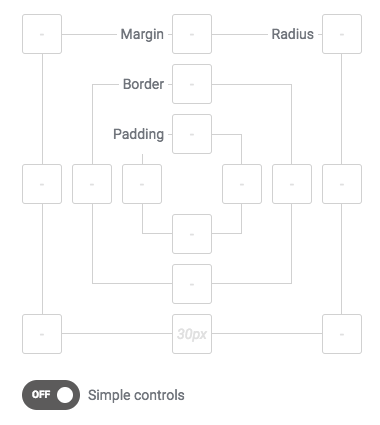 For each content element of Visual Composer, you are able to control paddings, margins, border, and radius by using Design Options ‘onion’ control. By default, you can apply values to every corner of the element CSS properties mentioned above. Yet, if you need a similar value all across one property (ex. same radius value for all corners) you can enable Simple controls via toggle control and apply value via one input. Note: If you enable custom device option above the onion control, you can set different CSS properties for different device types.